Bill Rose | Blended, or Scrambled? 31 Jan Blended, or Scrambled? Did you see the viral Facebook post about the Dad + Bonus Dad who took photos with their little girl before the daddy daughter dance?…so adorable! What about the viral video of Dad + Stepdad with their daughter on her wedding day? They are getting along, smiling, working together, co-parenting. I was jotting down some notes this past week about what I’ve learned through divorce, remarriage, step parenting, and the overall experience of starting over. Here are some thoughts that may encourage you as you navigate a family merger. #1 – You can learn to LIVE WITH the pain – It’s likely that both of your families have pain that you are still carrying from your past. Regardless of what caused it, the anger, resentment, and distrust may still linger. It’s important to accept the reality there there WILL BE struggles as you move past your past. You, your new spouse, and the new family dynamics are all part of one another’s healing process. You can learn to live with the pain today, while still holding onto the Hope and faith that it won’t always be this way. #2 – There are NO road maps – There are hundreds of books, thousands of blogs, and even some great conferences you can attend, but there is NOT a single resource out there that will speak to your specific situation. There is no “what to expect when you are merging” book out there to make it EASY to navigate a blended family scenario. That means YOU get the pleasure of figuring it out as you go 🙂 Personally, I recommend reading Galatians 5:22-23 as often as possible and beg God to help you produce that fruit. Re-marriage, step parenting, and blending families is a unique experience and you will have to take it step by step, day by day. #3 – Love the family you have MORE THAN the family you dreamed of having – Whatever expectations you had 10 years ago when you first started your family, drop them. The ideals you concocted up in your mind in your early twenties? Yea, they are not happening. If you are reading this post, then you have probably already figured that out. LOL. I think sometimes we live with illusions of grandeur, ideas about how perfect and well situated our families will be one day, and if we aren’t careful we can become so focused on that that we forget to live in the moment and appreciate our family for what it is. 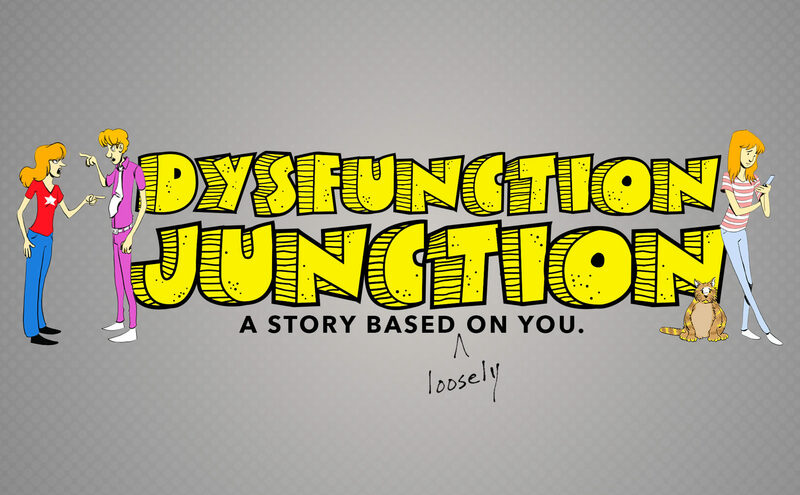 #5 – Dysfunction Junction – We are starting a new series this Sunday at Oasis Church entitled “Dysfunction Junction.” It’s sort of a family series, but should be very helpful to all relationships. In the opening message, we are specifically planning to encourage those who are in merged/blended/scrambled families. Your family story is unique and powerful. And it is also a story of God’s love and redemption. I’m excited to teach on this subject and would like to invite you, if you live in the Holly Springs area, to join us! If you aren’t local, you can always watch the music and the message online, LIVE.